The piecemeal presentation of biology found in most introductory textbooks doesn’t reflect modern thinking about how folks learn, and frankly doesn’t make sense on the face of it. The average textbook starts teaching biology with a summary of all the chemistry that will be needed within the book (despite the fact that some of it [looking at you, pH] won’t appear for another dozen or more chapters, then summarizes all the biomolecules and their roles–a summary of things not yet taught. There must be a better way; read on to see one model using hemoglobin. 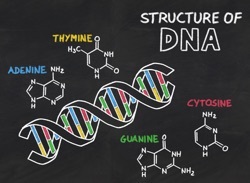 What’s important about… molecules of the Central Dogma? I think we’re focusing on the wrong thing when we follow classical textbook approaches to ‘Biomolecules’ and their categories (DNA, RNA, protein, carbs, lipids). I don’t have much to say about the latter two, but there are some Big Ideas about the molecules of the central dogma that I believe get lost in the tedium of -OH groups and dehydration reactions… I’ll discuss order of presentation and such later; now I want to talk about monomer structure. To wit: How are (the group nucleic acid monomers) and (the group amino acids) all similar, and why must this be so? 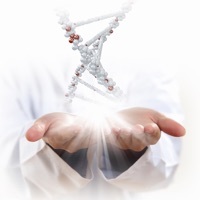 What’s important about… teaching DNA? Everybody agrees that we should teach the ‘Central Dogma’ in IntroBio (DNA => RNA => Protein). But surely that’s not an answer to the question. What is important to understand about the actors and the ‘flow of information’ [what’s information? ], why does each actor have the role it has, why are the actors chemically as they are and not otherwise (to paraphrase Einstein). As part of this blog, I’m going to go through views I’ve developed over two decades, starting with DNA. Foreshadowing: it’s not going to be about alphabets: the letters D-N-A and the letters A-G-C-T cannot encompass what is important about a molecule capable of holding in its structure the instructions-to-build for every known living thing. I’m trying out WordPress. This will allow me to better indicate recent updates, and spout off about a lot of things I spend too much time mumbling to myself about.